Crude oil is one of the world's most valuable and essential commodities, which was first discovered during the Industrial Revolution (late 1700s – early 1800s). Multiple industrial applications of crude oil were developed later in the 19th century. Also referred to as ‘black gold’, crude oil is a nonrenewable resource, meaning it has a limited supply. Common uses of the commodity include the production of fuel, plastic, asphalt, cars, furniture, clothing, food, insulation and many more. Typically, the resource is obtained through drilling, and then it is refined and processed into various byproducts, including diesel, gasoline, kerosene and other forms of petrochemicals. The world’s top five oil-producing countries are Russia, Saudi Arabia, the United States, Iraq and Canada. They are responsible for about one half of the global production. Venezuela, Nigeria, Mexico, Angola and Norway make their huge contribution to the production of crude oil as well. Based on its chemical composition and physical characteristics, they distinguish sweet vs. sour and light vs. heavy crude oil. Composed mainly of carbon (84-87%), crude oil also contains hydrogen, and varying amounts of helium, nitrogen, oxygen and sulfur.Crude oil with high sulfur content is categorised as sour. Low-sulfur crude oil is classified as sweet, and is typically of a higher value than the sour type. Based on the oil’s relative density with respect to water, it can be heavy or light. Heavy crude oil has density nearing or exceeding that of water, and requires additional refining to produce more valuable products. Thus, lighter crude is in more demand, less expensive to produce and generates high-valued products. What is the difference between WTI and Brent crude? Currently, there are two major benchmarks for oil pricing – West Texas Intermediate (WTI) and Brent crude oil. The two have different geographical origins: WTI comes from the USA, Brent originates in Europe, in the North Sea oil fields. Brent Crude is produced by the sea, so transportation costs are much lower. In opposition, WTI is sourced from landlocked oil fields (Louisiana, Texas and North Dakota), which increases the costs of transportation. In addition to location, the benchmarks differ in terms of sulfur content and density. WTI is generally considered sweeter and lighter than Brent, thus, it has historically traded at a premium. In recent years, however, the situation has flipped: WTI depreciated against Brent crude oil. This is caused by a physical glut around Cushing, Oklahoma, – the key delivery hub for West Texas Intermediateconsumers. WTI was labeled a ‘broken benchmark’, and a need developed fora better gauge of crude oil prices. Thus, Brent turned into a new global oil benchmark. Investors can buy two types of oil contracts: spot and futures. On the spot market, crude oil is bought or sold immediately. One party pays money, the other delivers the commodity. The spot contract price reflects the current crude oil price on the market. In contrast, futures price can be equal to, higher or lower than the spot price. A futures contract is an agreement to buy or sell crude oil at a specified price and at a predetermined time in the future. 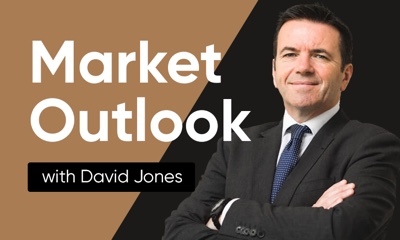 The futures price reflects what buyers are willing to pay for the underlying asset, but there’s no guarantee that crude oil eventually reaches the specified price. Futures are more common among investors in comparison with spot contracts. Brent futures are traded on the Intercontinental Exchange (ICE) as well as the New York Mercantile Exchange (NYMEX) division of the Chicago Mercantile Exchange (CME) lists WTI futures. NYMEX lists WTI futures contracts as well. Get the latest crude oil chartand prices at the Capital.com to keep track of trading opportunities. Why is US Crude Oil Spot important to traders? 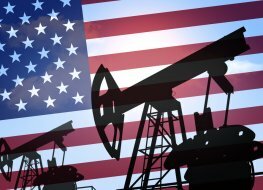 Trade US crude oil spot CFDs, other major commodities, indices, forex, shares and cryptocurrencies through Capital.com’s award-winning platform. No commission. FCA and CySEC regulated. Up to 1:200 leverage (professionals only). Available on web and mobile. AI technology. Trade now.